Rochester's summer will be filled with places to see, events to attend, and perhaps most importantly, food to eat. 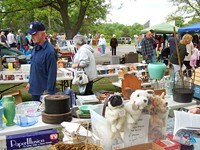 From now until September, there is a festival to be found nearly every weekend. Some of these festivals have amusement park rides, some have works of art for sale, but they all have one delicious thing in common: the food. In Rochester, we go all out when it comes to festival food. Each of the local summer festivals is packed with good things to eat. Where else can you intake all of your daily recommended calories in one sitting? Or get deep-fried versions of seemingly anything imaginable? Or enjoy eating dessert off of a stick? 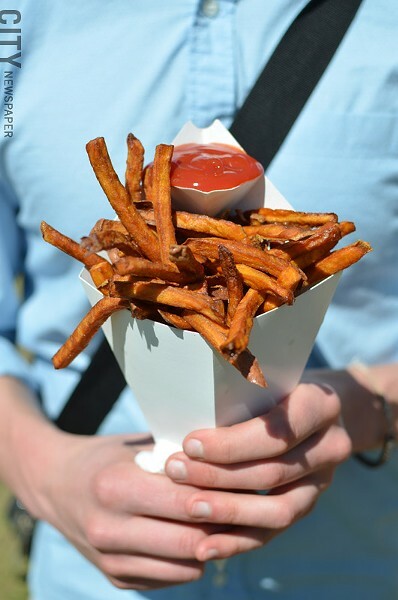 These foods, and other, slightly more healthy ones, make Rochester's festivals one of the best things about summer. 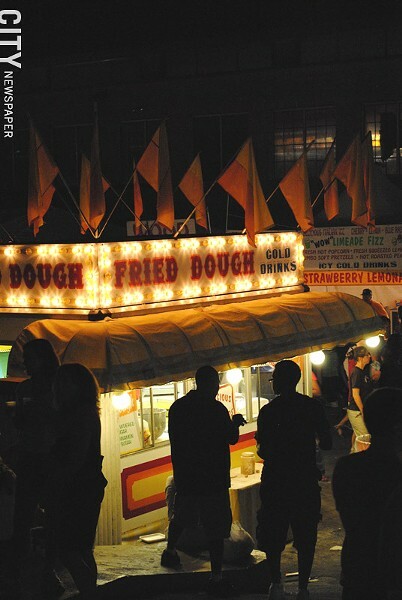 Fried dough stands can be found in a plethora of locations throughout the New York State Fair. Nothing says festival food like a carnival. The word itself brings to mind the luscious smell of fried food. If you are the go-big-or-go-home type, there is no substitute for the New York State Fair (581 State Fair Blvd., Syracuse, nysfair.org). Two years back, the fair added the Big Kahuna Doughnut Burger, a food that made headlines with its colossal calorie count. It is not for the faint of heart. Take a quarter-pound burger with bacon, cheese, lettuce, tomato, and onion, and stick it between two doughnuts instead of buns. No bread, just glazed goodness. That's 1,500 calories for $5. Only Americans could have come up with such a masterpiece, and it's right here in our own back yard. Last year, the burger was joined by the Big Kahuna Donut Dog. You get the idea. 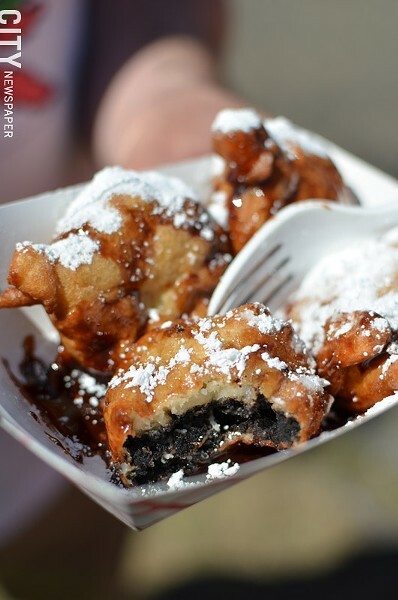 Other carnival fare at the State Fair includes deep-fried versions of macaroni and cheese, candy bars, and even vegetables (for those that want to at least feign being calorie conscious). Meanwhile, you can distract yourself from the heartburn with all of the games, competitions, rides, and booths that have made the New York State Fair famous. The event will take place August 22 through September 2. Admission is $10 for adults and free for children 12 and under. Be sure to check out Beef Day (August 27) to watch grilling contests and get free beef recipes. That's not all, folks. Another festival food worth waiting in line for is fried dough. This is a food that is entirely devoted to sweet, sugary delight. It has basically no nutritional value whatsoever, and that's the point. The delicious, flaky dough is really just there to hold as much powdered sugar and butter as possible. And this dish has to be eaten with absolutely no dignity, which is also part of the fun. A knife and fork don't really work, and it's impossible to avoid getting powdered sugar all over yourself. This baby will knock you back around 700 to 750 calories a pop, but you know it's worth it. Funnel cakes are festival food regulars. 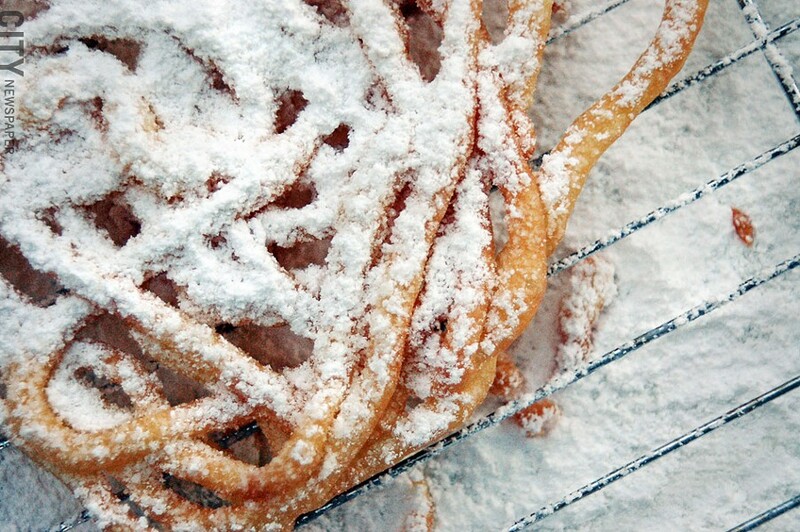 Fried dough and its snacky sibling, the funnel cake, can be found at many of the events going on this summer. Neighborhood festivals like the Park Avenue Festival (August 3-4, parkavefest.com) and the Corn Hill Arts Festival (July 13-14, cornhillartsfestival.com) always sell it. You can walk around your favorite neighborhood, listen to live music, shop, and get your fried-dough fix all at the same time. These events also sell healthier options like pitas, wraps, and corn on the cob. Another unique, lower-calorie option is the vendor Artichoke French, which can be found at many of these festivals. Not a frequent partaker in that sweet tooth? Take it from Annmarie Adamus, 50, who has lived in Rochester her whole life. Every year she goes to summer festivals for her favorite food, fried dough. "Ever since I was little, fried dough was a treat," Adamus says. "It brings back happy memories." Adamus doesn't let food guilt stop her from having her favorite festival food each summer. "I don't eat it all the time, only once a year," she says. 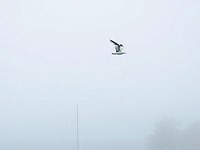 "So I don't mind that it's bad for me." A cone of sweet potato fries. At this point you may be thinking, Sticky doughnut burgers and messy fried dough? What if I don't want to get food all over me on a hot summer day? Never fear. 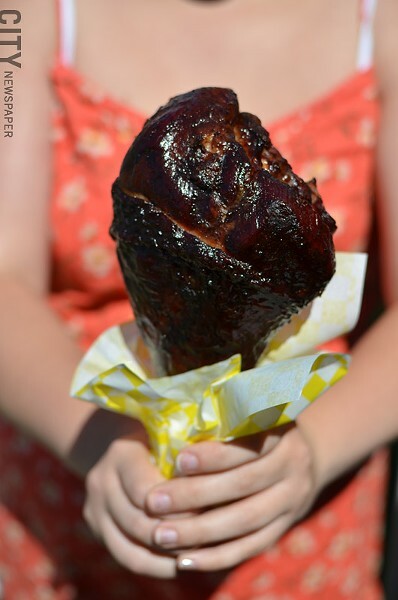 Festival vendors have thought of a solution: food on a stick. It's portable, it's (relatively) clean, it's delicious. The trifecta of outdoor food. 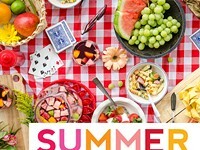 This concept is applied to multiple foods during the summer, but none is more famous than the candied or caramel apple. It would be impossible to eat such a food without a stick to keep your hands clean. Gooey, thick caramel with your choice of peanuts or candy on top would get a lot less fun if you couldn't unstick your fingers from the apple. 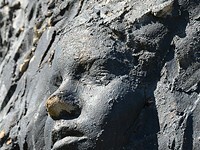 Places like the Monroe County Fair (August 1-4, Northampton Park, Ogden. mcfair.com, 262-3247) and the New York State Fair sell chocolate-covered apples, caramel-covered apples, and candy-covered apples. These usually range from 300 to 430 calories, depending on the toppings. 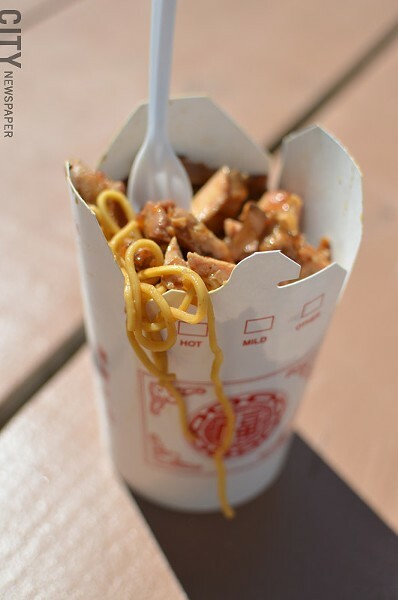 Lo mein with teriyaki chicken. 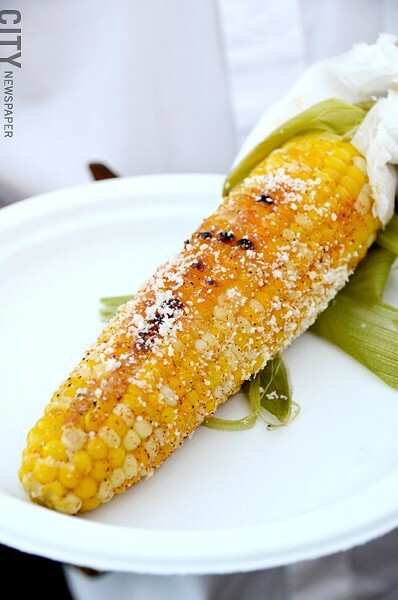 Cajun corn on the cob. The unfortunate thing about festival food is that it comes right around the time when we are all wearing less clothing and watching our waistlines. These foods are like the sun: too much of a great thing can be bad for you. But don't worry too much. John Kralles, a registered dietician at Rochester General Hospital, says that you can enjoy these foods in moderation. "This stuff is meant to be fun," Kralles says. "If it's done every day, it will be really unhealthy, but not if it's only once a year." Kralles uses an app called CalorieKing to keep track of how bad these kinds of foods actually are. That way it's easier to stay in the once-a-year zone, instead of eating an entire year's worth of fest food in one summer. With so many summer festivals in Rochester, that isn't outside the realm of possibility. "Eating these foods is what people look forward to doing at the festivals," Kralles says. "They wait in line out in the heat and in the rain. It's part of the social experience." 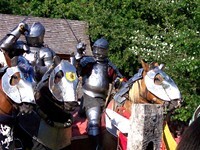 Another option, if you don't want to worry too much about your arteries, is to check out Rochester's other festivals. Many of them offer meals that go far beyond the funnel cake. This summer, different festivals will center around German food, Caribbean food, and world-famous barbecue. 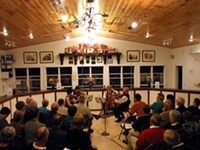 There is even a festival dedicated entirely to sauerkraut (Phelps Sauerkraut Festival, August 1-4, phelpsny.com). I don't know which is greater, the number of festivals coming up, or the number of foods you can try at each one. Either way, there is no way to do them all justice here. 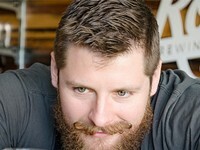 Check out the sidebar for a full list of upcoming summer festivals, and keep that belly ready.